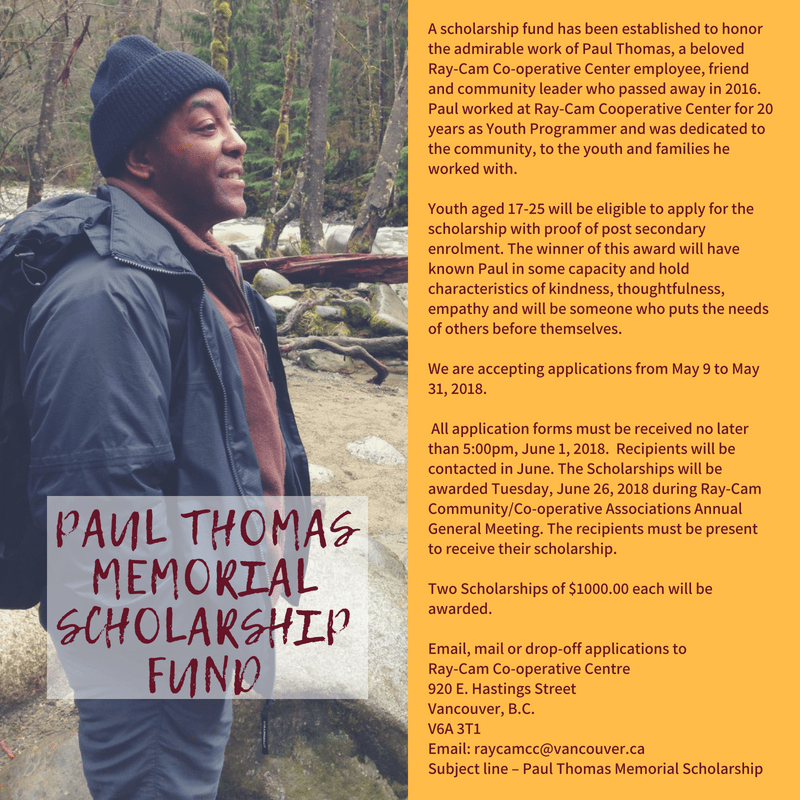 A scholarship fund has been established to honor the admirable work of Paul Thomas, a beloved Ray-Cam Co-operative Center employee, friend and community leader who passed away in 2016. Paul worked at Ray-Cam Cooperative Center for 20 years as Youth Programmer and was dedicated to the community, to the youth and families he worked with. Youth aged 17-25 will be eligible to apply for the scholarship with proof of post secondary enrollment. The winner of this award will have known Paul in some capacity and hold characteristics of kindness, thoughtfulness, empathy and will be someone who puts the needs of others before themselves.